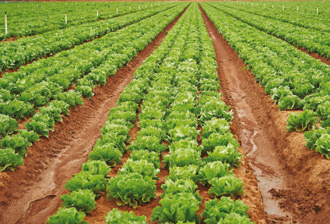 The expected benefits from using AQUA-SIL in irrigation on Australian soils will come from its ability to move water in and through the soil, which will allow the further optimisation of irrigation management program. As AQUA-SIL will increase the wetted footprint at the dripper, a greater storage capacity of water in greater areas of soil is being created. Consequently, subject to soil type, we would expect a wider active root zone to be generated by the trees, and this should result in faster growth and better yields. In today’s farming, sometimes too much water is being used because soil structures makes it difficult to get enough water and treatments to the plant where it needs it most. Used as supplement to agricultural treatments, AQUA-SIL provides the farms that additional control to reduce the overall chemical consumption as well as to overcome leaching in high draining environments. Because the soil conditioner activates capillaries, water is now retained marginally below the saturation point of the soil, promoting its movement through the soil rather than it being lost through run off. AQUA-SIL Soil Conditioner looks to modify the soil. Attach to the soil and conditions it to a hydrophilic state that has been shown to increase soil capillary activity and thereby increase water retention in soils, optimising irrigation activity. Specially designed for high Infiltration soils AQUA-SIL 2650 will modify the soil to slow the movement water through the soil while making water more available for easier plant uptake and and reduce run off of irrigation water. Specifically designed for low Infiltration and high run off non sodic soils, AQUA-SIL LSN 50 will assist in overcoming hydrophobic soils and compacted clay loams increasing the water infiltration and drainage and aeration properties. 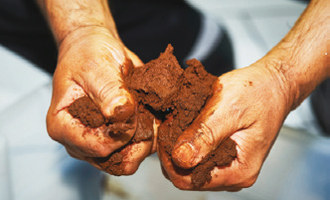 AQUA-SIL has been tested on various common soil types. The results are impressive and proof a universal functionality.